As a water and energy provider you need a flexible solution for remotely reading consumption meters that is tailored to your precise needs. Whether you are interested in a mobile meter reading solution (Automatic Meter Reading – AMR), a high-performance communications network (Advanced Metering Infrastructure – AMI), or a combination of the two, we can assist you with a wide range of communication solutions. For more than 20 years, Diehl Metering, a technology leader in AMR/AMI, has been using its IZAR RADIO technology to reliably gather data from a wide range of meters in the field and transmit this data to its IZAR software platform. In this way, our solutions realize a continuous data stream - from the measuring device to monitoring, data management and analysis. Obtain accurate reading date values, for example on moving in/out dates, simply and efficiently via mobile readings or a Fixed Network. In the spirit of multi utility providers, Diehl Metering solutions allow you to read water, thermal energy, gas and electricity meters across all sectors via the same infrastructure. This reduces your costs per metering point and increases overall efficiency. Carry out Walk-by mobile readings or Drive-by readings at up to 50km/h. 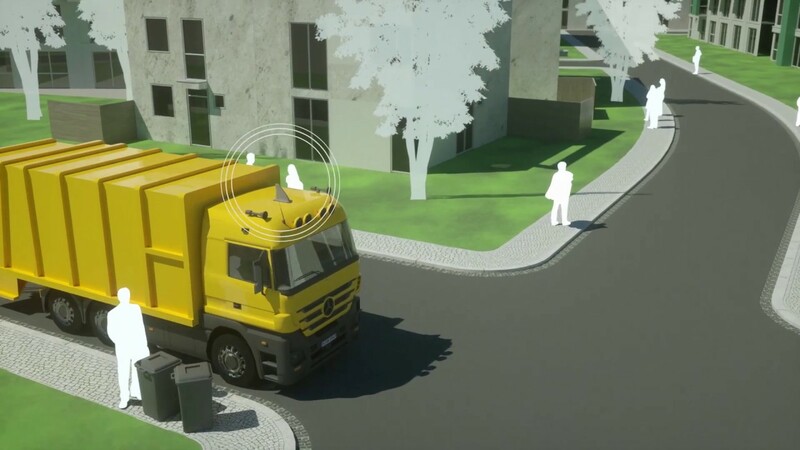 Diehl Metering also allows for a Passive Drive-by solution – for example, refuse collection vehicles can easily be fitted with radio receivers for mobile readings of transmitting meters. Collect data from consumption meters with minimal effort, correctly bill for the relevant date and automate tiresome routines. Your customers no longer need to read their own meters or be at home for meter readings. The first step towards fully automated meter reading: Diehl Metering mobile solutions offer you a good-value entry point to smart metering. You can take the next step and upgrading to a fully automated Fixed Network is possible at any time with the existing meter base, even without configuration. With a Diehl Metering Walk-by/Drive-by solution, you can read all meters for water, thermal energy, gas and electricity by simply driving (or walking) by. IZAR@MOBILE 2 software makes mobile readings simple and intuitive. Simple connection to a radio receiver transforms the IZAR TABLET (or any other tablet) into an efficient meter reading tool. IZAR@MOBILE 2 can be operated fully autonomously as a low-cost starter model. However, in conjunction with our IZAR PLUS Portal or IZAR@NET 2 software from Diehl Metering, you get considerable added value: configuration profiles and tours can be centrally planned, managed and sent to various mobile devices. All data can be encrypted with the central data management software at the push of a button and synchronised with mobile reading devices. If you need high-resolution data for water, thermal energy, gas and electricity, for example on an hourly or daily basis, a wireless Fixed Network from Diehl Metering is the perfect choice for you. A Fixed Network will provide you with fully automated, high-performance and continuous readings of all integrated meters via permanently installed receivers. Seamlessly transfer data into the IZAR meter data management software for centralised monitoring and big data analytics. Thanks to our high-performance IZAR RADIO technology as well as our many years of experience in network planning, not even complex housing estates or industrial units present an obstacle for a Diehl Metering Fixed Network. Create monthly bills based upon actual rather than estimated consumption; optimise your supply network with real-time monitoring and analysis, and act early in the event of incidents such as sudden leaks. A Fixed Network from Diehl Metering will assist water and energy suppliers on their path towards digitalisation. Thanks to our complete solution, we will be your reliable partner, all the way from the meter to data analysis. With Diehl Metering as a partner, you can implement complex communication solutions that are tailored to almost all your specific applications. Our range is supported by our leading IZAR system solution developed in-house by Diehl Metering, which is based upon the cross-manufacturer and cross-segment Open Metering System (OMS) communication standard, thus offering you maximum interoperability. In addition, we have extended our system solution portfolio to include the LPWAN technologies Narrowband IoT (NB-IoT) and LoRaWAN, and we will continue with this expansion. We can offer integration of additional communication technologies at any time on a project-specific basis – please do not hesitate to contact us about this without obligation! With Diehl Metering, water and energy providers can choose which communication solution is best for their needs – even a combined solution made up of our tailor-made IZAR Fixed Network and an IoT communication technology such as NB-IoT is possible. Diehl Metering offers you more than just technology: a partnership that gives you access to the cutting edge communication technologies for the Internet of Things. For over 20 years we have been using our own IZAR RADIO technology to gather consumption data – even from meters in challenging installation situations, such as in apartment buildings, in cellars and in shafts. The battery-operated meters withstand a service life of up to 16 years, even when read hourly. The IZAR RADIO network is specifically tailored to smart metering and grows flexibly to keep up with the suppliers’ new requirements. Coverage: Thanks to optimised coverage of up to several kilometres, we can provide you with exceptional performance at low cost (cost per meter point). Up-to-date: We enable you to reliably retrieve data almost in real time (every 8–14 seconds), whereby the most up-to-date data possible is guaranteed for smart monitoring. Interoperability: In the spirit of multi utility, the IZAR RADIO Fixed Network is based upon the Open Metering System (OMS) communication standard and is infinitely compatible with other devices. Security: As IZAR RADIO uses a dedicated communication infrastructure, you can have complete control over access to your network and the recorded data remains in your hands. We offer you the highest standards of security thanks to BSI-compliance in accordance with OMS 4.0.2 Security Profile B. Investment security: IZAR RADIO has proven itself in metering technology and is fully compatible with meters that have already been in use for over 20 years. LoRaWAN (Long Range Wide Area Network) is an LPWAN technology for wireless communication for battery-operated devices. LoRaWAN uses private networks – unlike NB-IoT. LoRaWAN is licence-free and the network protocol is Open Source. However, the radio technology is proprietary. Diehl Metering is a member of the LoRa Alliance, which has set itself the goal of establishing LoRa as a communication standard. Why use LoRaWAN for smart metering? In urban areas, LoRaWAN can reach a range of up to two kilometres, extending to up to 15 kilometres in rural areas. Thanks to the excellent range and building penetration, smart metering is a possible application for LoRaWAN, as consumption meters are often installed in difficult-to-access locations. What challenges are associated with LoRaWAN for smart metering? As LoRaWAN is more suitable for infrequent data transmission, suppliers need to be prepared to make compromises in terms of either up-to-date data or battery life. If you would like to implement fully automatic meter reading over a LoRaWAN network, you can either rely on an existing network or establish a new LoRaWAN network with partners – this will require investment costs. If you are interested in a LoRaWAN-based communication solution, Diehl Metering will be on hand as your capable partner. NB-IoT is a standardised LPWAN (Low Power Wide Area Network) technology for Internet of Things applications that links devices via established mobile networks and transmits small volumes of data to difficult-to-access areas over long periods of time. NB-IoT uses existing infrastructure installations that are currently used for mobile communication. These are operated, maintained and upgraded by the mobile network operators. Why use NB-IoT for smart metering? As NB-IoT uses existing mobile networks, no initial investment is required by suppliers in terms of infrastructure. Furthermore, NB-IoT boasts good coverage and excellent building penetration, which is an advantage when it comes to fully automatic readings of meters located in shafts or in rural areas, for example. What challenges are associated with NB-IoT for smart metering? In spite of its low electricity consumption, NB-IoT presents a challenge for battery-operated meters. When implementing fully automatic meter reading over an NB-IoT network, you do not own the infrastructure – unlike with a Fixed Network from Diehl Metering. You are therefore dependent upon the telecommunications provider – if you are interested in an NB-IoT solution, Diehl Metering will be on hand as your reliable partner. We work with various telecommunications providers and are an IoT partner for Vodafone, among others.